“We are working on a song that is going to be in the Ender’s Game epic movie that’s coming out at the end of the year,” Wayne Coyne revealed to Huffington Post back in August – referring to Gavin Hood’s new adaption of Orson Scott Card’s 1985 novel. “We’re going to pursue making a bit more of an expanded five or six song record that goes along with the theme and the stuff that we did for that movie.” Due out stateside this Halloween weekend, The Ender’s Game is described on IMDB as “an unusually gifted child… sent to an advanced military school in space…[prepares] for a future invasion…70 years after a horrific alien war.” The movie stars Asa Butterfield, Harrison Ford, and Ben Kingsley and features an original score by Steve Jablonsky in addition to the Lips’ music. Both “Peace Sword (Open Your Heart)” – the song in the film – and the five other songs that comprise the Peace Sword EP are streaming now. 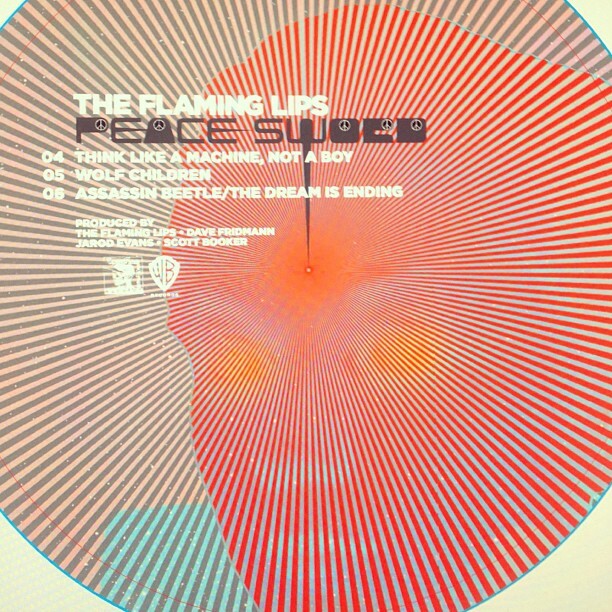 Expanding on their contribution to the flick, the Peace Sword EP limited edition vinyl and CD editions will be released as part of Record Store Day’s “Back to Black Friday” on November 29, 2013. 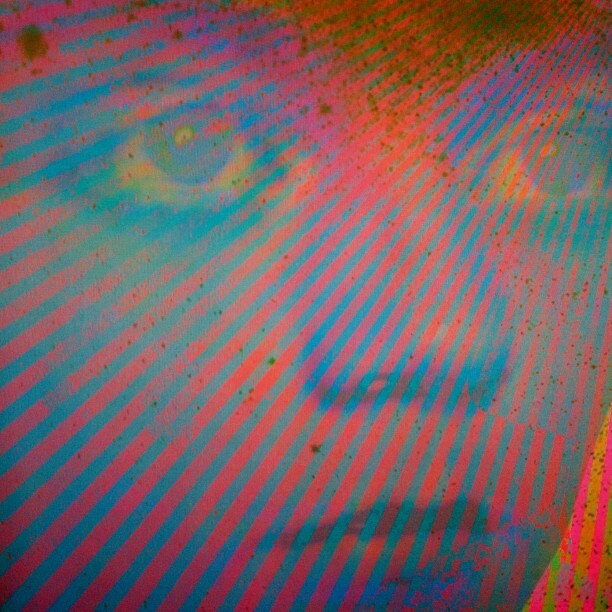 It is also set for release digitally on October 29th, though only the first five tracks (pre-order here). Stream the full release now by clicking the song titles in the tracklist below, or watch the film trailer that follows. 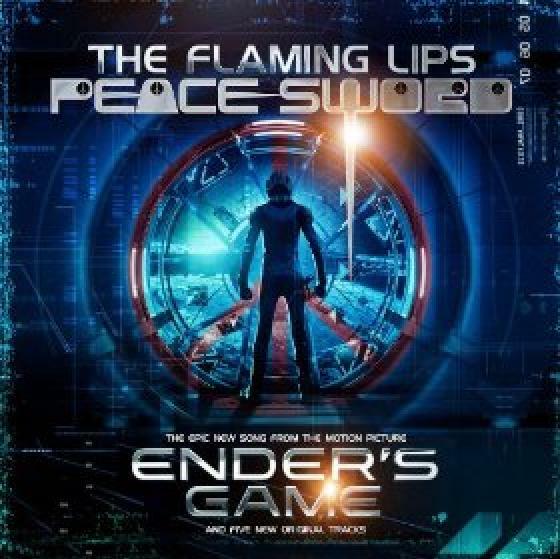 Scroll down further for more details on the film, the controversy (and the Lips’ response) over Orson Scott Card’s intolerant beliefs, the creation of the Peace Sword EP, artwork and selected lyrics. If the player does appear on first click, hit your refresh button. “While the novel delves deep into Ender’s psyche and the pressures that are placed on an adolescent who has been thrust into battle,” Paste notes, “the film seems to place a hefty focus on the action-packed warzone that the child has found himself in.” Although Ender’s Game has already received a lot of buzz, it’s also received backlash from gay rights groups in reaction to Card’s outspoken religious and political beliefs (particularly his 1990 essay “The Hypocrites of Homosexuality”). At the center of the protests is Geeks Out’s Skip Ender’s Game campaign, started around the time the first trailer surfaced online this past spring. Card responded in an Entertainment Weekly exclusive this July, stating “Ender’s Game is set more than a century in the future and has nothing to do with political issues that did not exist when the book was written in 1984. With the recent Supreme Court ruling, the gay marriage issue becomes moot. The Full Faith and Credit clause of the Constitution will, sooner or later, give legal force in every state to any marriage contract recognized by any other state. Now it will be interesting to see whether the victorious proponents of gay marriage will show tolerance toward those who disagreed with them when the issue was still in dispute.” Likewise director Gavin Hood and co-producer Bob Orci spoke about the controversy with Huffington Post at San Diego’s Comic-Con in July. To some the boycott isn’t an issue of separating art from the artist though, but rather an attempt to keep an outspoken anti-gay rights writer from financial profit. The protest has spilled over into discussion on several of Wayne’s Instagram posts about the EP (some now deleted in the service’s ban of Coyne’s former account). In response to criticism of the Lips association with the film Wayne clarified, “Our involvement is only with the music directors of the movie…but yeah …these are conflicts all big projects have to deal with. We try to do cool things with cool people that, obviously benefit us and the cool people we doing stuff with…occasionally these benefits extend to abstractly connected people who are NOT so cool.. So we try to choose ..” Additionally, the vinyl etching for the EP will read “Hey Orson Scott Card You Are Wrong” on side 1 and “Gay People Are Cool” on the flip. Wayne described the new music to Gawker: “the recent collection we’ve done for the Ender’s Game movie is more live playing, but not meant to sound live…?? it’s weird, we like the spontaneity but we still like it to sound like the machines are doing all the work.” He added to Rolling Stone, “Our most satisfying records to listen to . . . at the end you kind of stumble upon a character and a theme and a story,” referencing The Soft Bulletin and Yoshimi. “The more you do it, the more you’re compelled by your own creation.” To that end Rolling Stone speculates the disturbed track “Wolf Children” is inspired by a scene in the film in which Ender is attacked by a group of children who have turned into wolves. If you are familiar with the book, comment below on the connections you hear between the story and the new songs.